*Price per recurring service every 21 days. Up to 1 acre. To add tick control to your mosquito control service package or as a standalone service, please contact us at 803-298-8251. 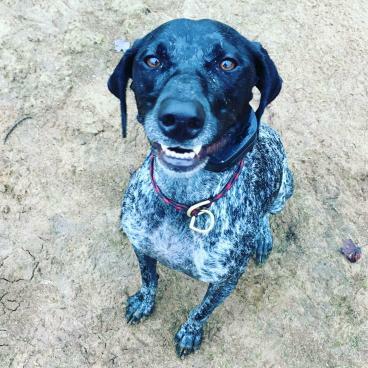 This is Izzy, our favorite smiling German Shorthaired Pointer puppy!